Jason Jimenez is the executive chef at Kitchen Six in Decatur, Georgia. After culinary school at Johnson & Wales in Charlotte, he moved back home to Atlanta where he worked at several restaurants including Canoe, Local Three, and Muss & Turner’s. Jason and his wife Jamie started a private chef and catering company, Homespun, in 2012. 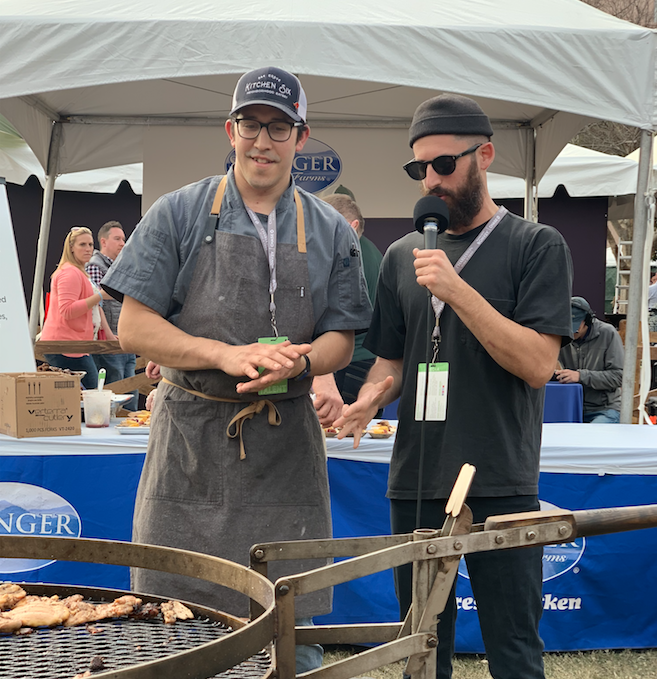 Chef Jason chatted with host Eli Sussman over the Springer Mountain Farms campfire at Charleston Wine + Food.